Should I Get a Patent on My Invention? 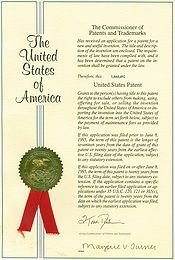 A patent is a legal document. It does not give you the right to make your invention, only the right to prevent others from making, using or selling the invention without paying you. The patent describes the best way to make your invention and the minimum combination of elements a device or system has to have to “infringe” the patent. What Kind of Things Are Patentable? Any new, useful and non-obvious process, machine, manufacture, composition of matter or improvement thereof is patentable. General ideas or concepts, obvious combinations of pre-existing devices, illegal or immoral matter, pure research, or anything that is simply a novelty or curiosity is not patentable. Some are. Some are not. A patent is merely a safeguard, like a safe deposit box for your invention. A patent does not miraculously transform a bad invention into a good invention. A patent merely ensures that if the invention is valuable, you obtain the profits. Simply being awarded a patent does not even mean that an idea has any value at all. The real question is will the invention sell. If there is a demand for your invention, a patent can be very valuable. By keeping others out of the market, you can leverage the patent to make profits on the sale of your invention or negotiate with a third party to pay you royalties for each sale. Patents used to last 17 years from the date of their issuance. Now patents expire 20 years from the date they were filed. Bear in mind that a patent does not allow its owner to actually do anything, only to prevent others from making, using or selling the invention. What Does a Patent Look Like? You can search for examples of patents on Google Patents. Patents are written documents that include a brief description of the background and pre-existing technology, a detailed description of the preferred embodiment of the invention, drawings and/or flowcharts associated with the invention, an abstract of the invention, and one or more claims. The claims are the most important part of the patent. The claims describe the metes and bounds of the patent. Each claim is a one-sentence description of the invention which, preferably, is broad enough to differentiate the invention over any pre-existing devices or obvious combination thereof. The claims, however, must be narrow enough so as not to include any extraneous matter, which would make the patent easy to design around. The invention itself, the state of the “prior art” and the skill of the patent attorney who wrote the patent all define the breadth of the patent. Are All Patents Created Equally? No. In fact, it would be very unusual for two different patent attorneys to draft identical patents on the same invention. The scope and value of a patent corresponds to the skill and knowledge of the patent attorney drafting it. Drafting a narrow patent is easy and relatively inexpensive. Maximizing the protection available in a patent is a skill that, not surprisingly, translates into more time and more money to get the patent issued. How unique the invention is also plays a hand in the breadth of the patent. It is not difficult to gain broad patent protection on a truly pioneering invention. By the same token, it is difficult to gain more than minimal patent protection on an incremental improvement over the way things were done before. Does the Fact That the Patent Office Granted My Patent Mean I Can Make My Invention? No. Strangely, a patent does not give you the right to DO anything. It only gives you the right to prevent others from doing something. The Patent Office does not care if your invention infringes an existing patent, as long as your invention is an improvement over the other invention. Why would you want a patent on an invention which infringed someone else’s patent? Consider the situation where one inventor invents and patents a chair. This would not prevent a later inventor from inventing and patenting a chair with rockers on the legs. Neither the first patent owner nor the second patent owner could make the chair with rockers without infringing the other’s patent. However, the parties could negotiate a cross-license where both parties pay each other a royalty in exchange for being allowed to manufacture the improved “rocking” chair. What Happens If Someone Infringes My Patent? Where Do I Start If I Want to Patent My Idea? You may wish to start with a Google Patent search or a search of the Patent Office to see if there is already a patent on your idea. Although it is difficult to determine definitively from Google or the Patent Office database if your idea is patented, you may get lucky, or unlucky as the case may be, and stumble upon your idea in another patent. If your initial search turns up nothing, you can have a patent attorney undertake a more comprehensive search for you. While such a search is much more detailed, it is not exhaustive. 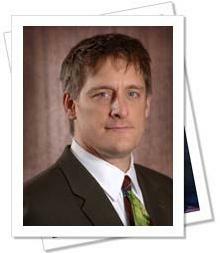 Even a search by a patent attorney is likely to miss a relevant patent or two. If the patent search goes well, you may wish to have the patent attorney prepare and file a patent application on your behalf. Although the process is long and costly, if the invention is a winner, a patent can mean the difference between huge profits and having the invention stolen out from under your nose. Posted in Patent Law. Tagged with patents. Comments Off on Should I Get a Patent on My Invention?